As members of the British Empire, New Zealanders once sang ‘God save the King’. 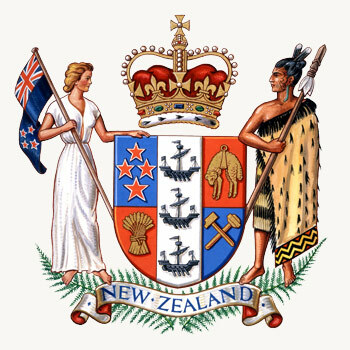 But since 1977 there has been another national anthem, ‘God defend New Zealand’, which today is often sung in Māori as well. Like the emblematic silver fern, it symbolises the emergence of a distinctive, independent democracy in the South Pacific. New Zealand is a parliamentary democracy. The prime minister is the head of New Zealand’s government, which must have majority support of members of Parliament. The country’s laws are made by Parliament, which is based on the British Westminster system. New Zealanders aged 18 and over can vote for members of Parliament (MPs). Elections are held every three years. Under the mixed member proportional system (MMP), New Zealanders cast two votes – one for a political party, and one for a local MP. The number of seats each party gains in Parliament is decided by how much of the total party vote the party gets. New Zealand is fully independent, but it is also a constitutional monarchy: the head of state is Queen Elizabeth II. She is represented in New Zealand by the governor-general, who traditionally does what the government advises him or her to do. The Treaty of Waitangi is the founding document of modern New Zealand. It is named after the place in the Bay of Islands where it was first signed on 6 February 1840. It was signed by William Hobson and other people representing the British Crown (Queen Victoria), and a large number of Māori chiefs. The chiefs agreed that the British should have some authority in New Zealand, and that European people could settle there. They understood that in turn they would keep their own lands and customs, and that the authority of the chiefs would remain. Promises made to Māori in the treaty were not always kept, and there is debate about what it means. The Waitangi Tribunal deals with claims from Māori tribes about their land and other issues to do with the treaty. Thousands of settlers, mostly from England, Scotland and Ireland, began to arrive in New Zealand from the 1840s, and they set up their own government in the 1850s. Over the next 150 years the country became less dependent on the British government. But there are still many signs of the historic link with Britain – for example, you can see the Queen’s head on New Zealand coins. New Zealand is a small independent country which plays an active role in the United Nations and the Commonwealth. It is a distinctive nation, with its own traditions and ways of life. It has its own flag, coat of arms, national anthem and national holidays.